The area within the vicinity of the cemetery was once a home of the Te Waimatemate hapu. The monument at the end of the path was erected to mark the burial place. The monument honors Chief Huruhuru, who, in 1854, peacefully welcomed Michael Studholme, the first white settler to the Waimate area. The monument stone also honors Tehema Huruhuru (grandson of Te Huruhuru) who died in 1906 and Eriaha Kaikoro who died in 1910. The original tombstone to the memory of the Huruhuru chief had become broken and lay on the ground overgrown by gorse and broom. 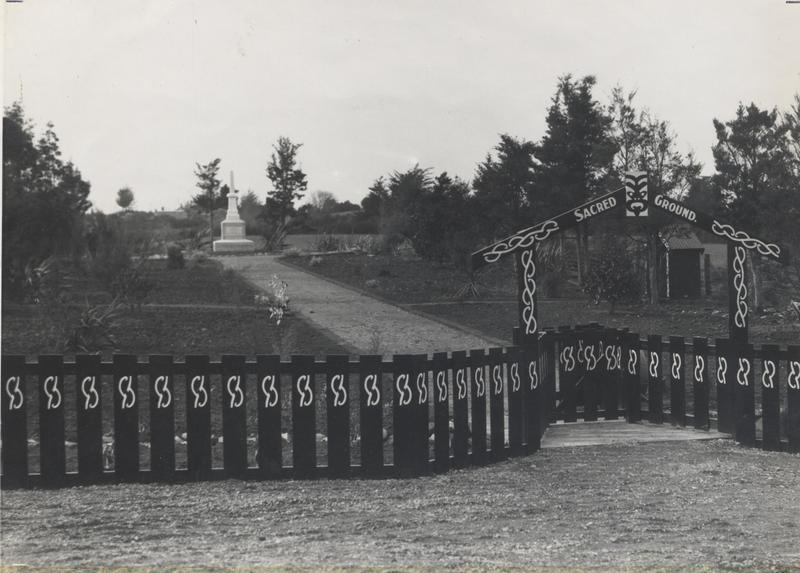 In 1932 the Waimate Borough began the process to acquire the site and replace and restore the monument.